Wigtownshire Railway opened to Millisle from Newton Stewart 02.08.1875, Garlieston branch opened by April 1876 and line completed to Whithorn 31.07.1977. Garleston branch closed to passengers March 1903 and to freight 1904; rest of Wigtownshire Railway System closed 25.09.1950 to passengers and October 1964 to goods. 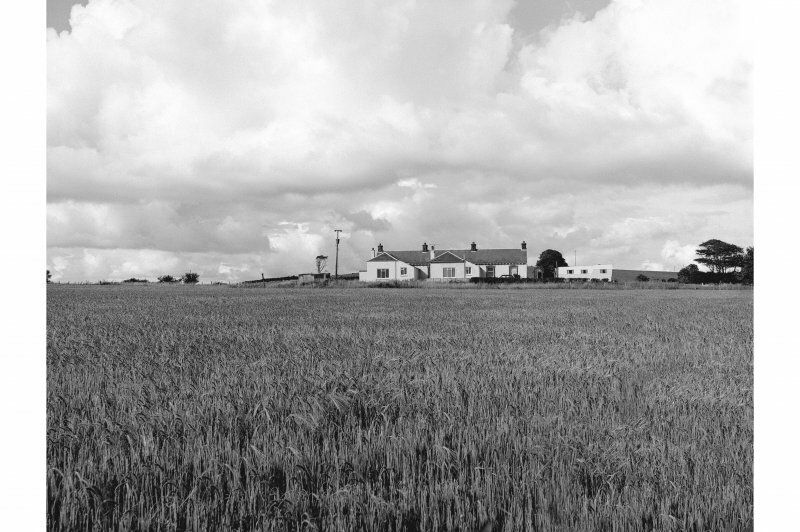 Millisle Railway Station has now been converted into residential accommodation. Information from RCAHMS (LKFJ), June 2002. This intermediate station on the Newton Stewart - Whithorn ('Wigtownshire Rhinns' or 'Machars') branch of the former Portpatrick and Wigtownshire Joint Rly was also the junction for the branch to Garlieston. It was opened as Millisle foir Garlieston Station on 1 March 1903, replacing the predecessor station of Millisle (opened 3 April 1876) to the N. It closed to regular passenger traffic (with the line as a whole) on 25 September 1950. Information from RCAHMS (RJCM), 11 July 2006.